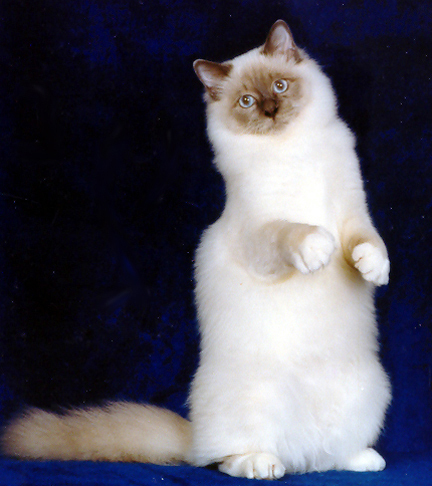 The Birman is a full-bodied, medium long, sturdy cat with a level back. The overall size is medium to large. The neck is strong and well-muscled, thicker on breeding males. In all respects, males are generally larger than females. The legs are medium in length, heavily boned, well-muscled, and in good proportion to the body. Shape: heavily boned, well-muscled, and in good proportion to the body. 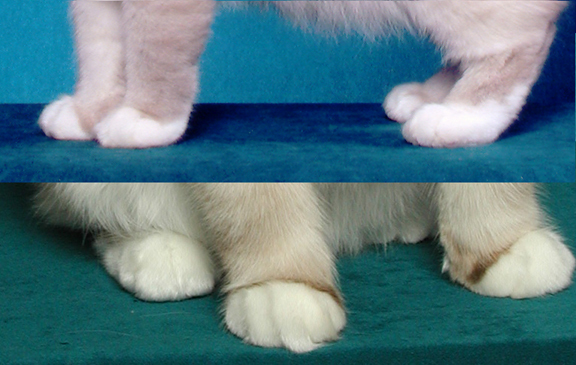 The feet are large, rounded, and firm. 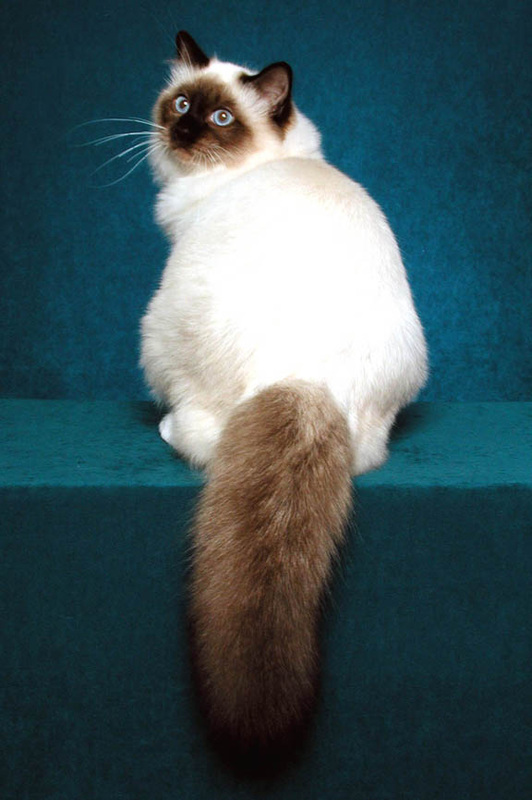 The tail is full and in good proportion to the body.